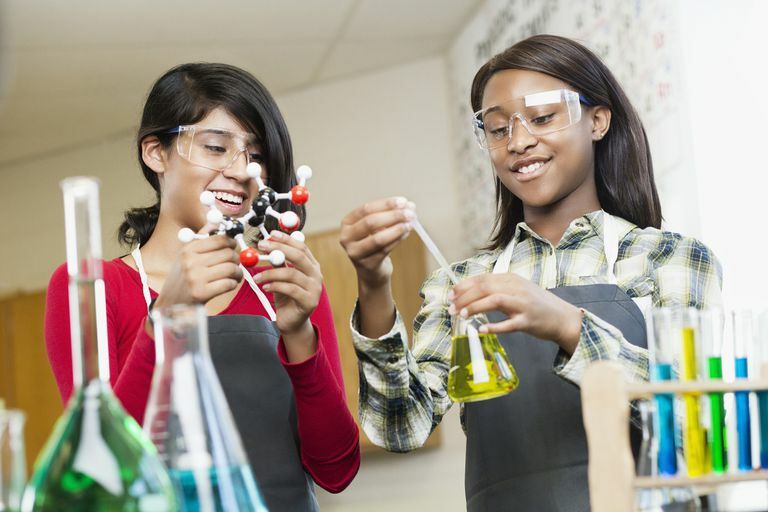 7th grade and middle school in general are a big time for science fairs because it's a wonderful educational level for students to come up with ideas to explore using the scientific method and ways to investigate their questions. Parents and teachers still provide direction, especially helping students devise manageable experiments and work technology to present their results. However, the actual experiment should be done by the 7th grader. The student should record data and analyze it to determine whether or not the hypothesis is supported. Here are some ideas appropriate for the 7th grade level. Use a prism to show the spectrum of visible light onto a sheet of paper. Mark the endpoints, which is how far into infrared and ultraviolet you can see. Compare your visual range with that of other family member or other students. Is there a difference in range between genders? Do family members have a similar range? See if you can draw any conclusions ​using the scientific method. Composting is a great way to reduce waste and recycle nutrients, yet some household products and foods are contaminated with heavy metals and organic chemicals. Devise a test to measure one of these chemicals and compare the concentration in compost versus that in ordinary soil in your yard. Houseplants can absorb and detoxify indoor pollution. Do research to identify good houseplants to clean the air in a home, office, or classroom. Now, take the project to the next level and determine which plants are most practical, affordable, and useful. Make a chart of the chemicals the plants clean, whether they are toxic to children and pets, whether they can live in low light conditions or require bright light or special care, how much the plants costs, and whether they are readily available. Which brand of ibuprofen (or could test another type of pain reliever) dissolves the most quickly? Does the pH of juice change over time? Insects can sense light and dark. Can they still see light if it's only red or blue, etc? How well does a football helmet really protect against impact? You could use a skating helmet or any other protective gear, depending on what you have available. How does the concentration of chlorine in water affect the rate or percentage of seed germination? What is the effect of watering schedules on the germination (or growth rate) of seeds from a certain plant? How does the presence of a medication in water affect the survivability of Daphnia? Does the presence of de-icer salt affect the movement behavior of earthworms? Does the bounciness of a golf ball relate to its ability to be hit a long distance? Does the species of wood affect the rate at which it burns? Its heat output? Does the mass of a baseball bat relate to the distance the baseball travels? Is the paper towel that absorbs the most water the same as the paper towel brand that absorbs the most oil?